Canadian travel agents recently took on Orlando Tree Trek’s courses as a part of the Air Canada Race 2018. Read Travel Press’ article here or continue reading below to see what their Tree Trek experience was like. 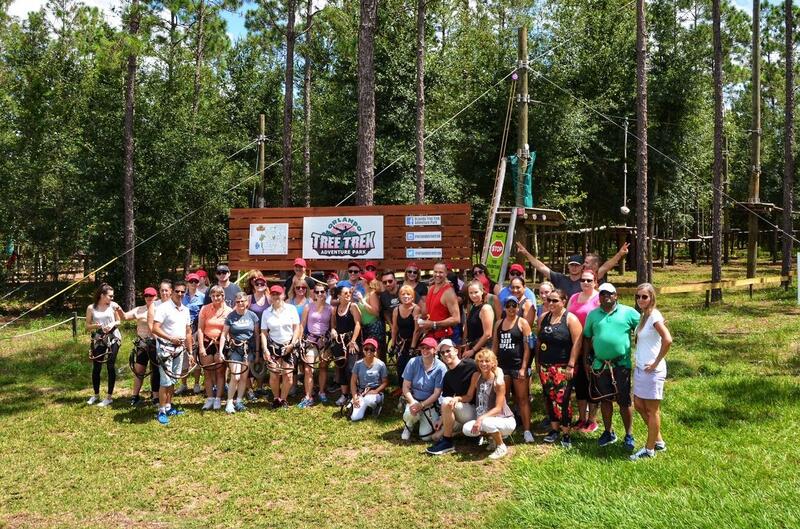 “Next up, the teams, made up of travel agents from across Canada, as well as representatives from Air Canada, Air Canada Vacations and trade media (including PressToday), went head to head at Orlando Tree Trek Adventure Park, a progressively challenging aerial obstacle course.